Kodil repository is one of the most comprehensive Kodi repository. 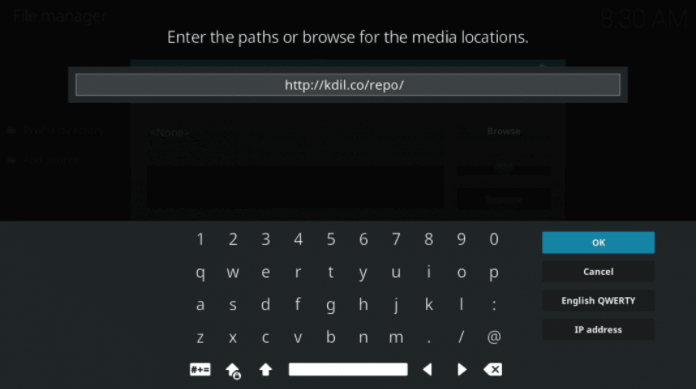 Kodil, or the Kodisrael repository, is a very well known Kodi repository. If, by chance, you don’t know much about this repository then rest assured that it is a very old repository. That means the developers behind this repository have a lot of experience. And of course, old is always gold (especially when old is free). Kodil basically stands for Kodi Israel. Or the official Kodi Israel Group. Kodil comes with many Kodi add-ons that allow users to consume all sorts of content. In fact, with Kodil we are confident that you will be able to find hundreds of Kodi add-ons that will help you find the content that you are looking for. You are bound to find several interesting Kodi add-ons among the hundreds of Kodi addons that Kodil offers to its users. Kodil has recently shot up in its popularity because of several reasons. One reason is the disappearance of many other well-known and reputed Kodi repositories. We are talking about respected Kodi repositories such as Fusion (also known as TVaddons) and Echo (also known as Orion). There are many other examples but we’ll leave those for another date. For now, Kodil is the best option for Kodi users who are looking for a decent place where they can find older but still working editions of their favorite add-ons. As mentioned before, Kodil comes from a team of developer that is based in Israel. That’s why it is called Kodil. To be fair to this repository, Kodil does host a reasonable number of working addons. Users news to Kodi will have to get accustomed to a couple of terms here. The first term, that users may already know, is the repository. Most of the time, the Kodi community shortens this word to just Repo. Now, a repository is nothing but a simple way for users to install various different Kodi add-ons. It is only because of Kodi repositories that users are able to install several different Kodi add-ons with the help of nothing but a single click. Moreover, Kodi add-ons don’t just work out of the box. You have to take care of their dependencies as well. Using a Kodi repository, rid you of that painful process. A repository automatically installs all the dependencies that come with a given Kodi addon. In this super guide, we will show our readers all the steps in details that they are required to complete to install this great repository. 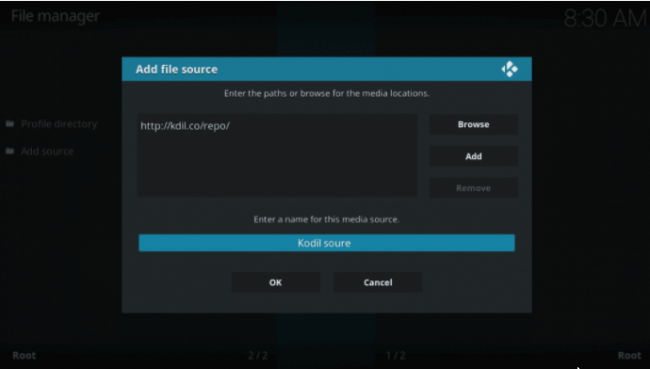 Once you have installed Kodil repository on your Kodi device, we will take you on a guided tour of the Kodil repository. While doing that we will let users know how to navigate Kodil’s user interface. And, of course, how to go about installing different add-ons from the same Kodil repository. In this guide, we will also focus on some of the best content that users can find via Kodil. After that, we will list some Kodi add-ons that we think are worthy of any serious Kodi user’s attention. But first, let’s go through a disclaimer quickly. This Kodil repository guide aims to help users to access premium content that they have already paid for. Or have purchased legal rights to first access and then consume. Our methods only help them to access content when they are unable to access their content temporarily for whatever reason. Security Gladiators in no way condones or supports piracy. And hence does not bear any responsibility for what a reader may or may not do with the methods that Security Gladiators provides in this guide. Moreover, Security Gladiators does not host, produce and/or develop any of the applications that appear in this guide. Security Gladiators also doesn’t support purchase, distribution and/or use of Kodi boxes or any other fully-loaded pirates streaming devices. First a quick word on your security. Security Gladiators recommends all users to make use of VPN services whenever they want to watch content via Kodi. We say that because lately copyright trolls and internet service providers have started to send Kodi users copyright infringement notices. Readers who want to stay safe for all that kind of nonsense should sign up for a VPN service. Users who also want to keep government agencies and internet service providers off their streaming habits should also consider signing up for a VPN service provider. A VPN service does much more. But most of all, it keeps your activities safe and private. And for that reason alone we recommend IPVanish. IPVanish is the number one VPN service on our list of best VPN service providers. You will not find a list of best VPN service providers without IPVanish somewhere close to the top. It is the complete online privacy solution for any kind of user. And especially a Kodi user. Kodi users should also know that IPvanish offers significant discounts for subscribers who commit to the service for longer periods of time. For example, if you purchase a monthly package, you are unlikely to get a discount. However, if you sign up with IPVanish for a period of 12 months then you can avail huge discounts provided you sign up at the right time. Even if you ignore all of that, all IPVanish packages come with a no questions asked money-back guarantee of seven days. So use IPVanish for all your Kodi needs for a period of seven days. And if you don’t like the service, you can just ask for your money back. To sign for IPVanish from the official website right here and right now click here. It can unblock Kodi add-ons that have geo-restrictions on them. Official seven-day money-back guarantee so that users can sign up for the service with zero risks. We’ll assume from this section onwards that you have Kodi installed on your streaming device. If you don’t know how to do that then click here to go to the official Kodi website. Click here for our guide for learning how to install Kodi on your Android device or Windows computer machine. When you really get down to it, you will quickly notice that install Kodisrael is no big deal. All you have to do is follow the steps that we will outline for you right now. Like most other Kodi repository installations, you first have to make sure that you configure the correct source. Then you need to go to the home screen menu of Kodi and then click the small gear icon that appears in the top left corner of your screen. That gear icon basically represents the Settings menu of your Kodi installation. From there you have to hit the option that says Add Source. Now is the time for you to click on None. Then you must click the option that says OK.
After that just take a look at the option that says Enter a name for this media source. This is where you have to type a proper name for your repository. Keep it something that you will easily remember for future reference. Generally, we recommend people to name the source something that adds meaning to the name. In this case, we recommend that you use the name Kodil Source. After you have entered the name of the new source, you need to click the option that says okay. Now, it is time for some navigation. 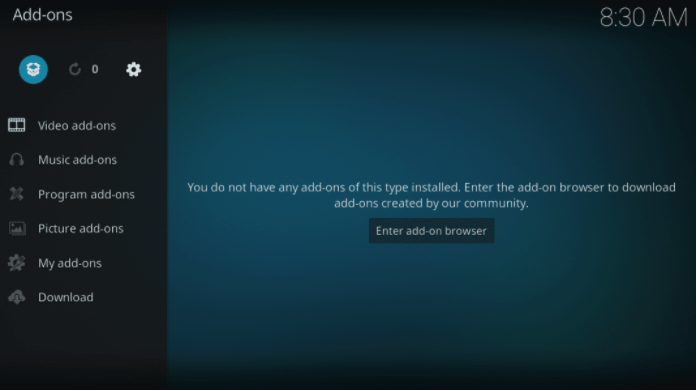 Go back to your Kodi home screen and after that just tap/click the option that says Add-ons. The next step is to simply click the icon that represents the add-on browser option. This usually comes in the form of a small open box. You can find this icon in the top left corner of your Kodi home screen. After that, you have completed the previous step you need to go to the option that says Install from file. When that is done, then you need to make sure that you are able to find from the list the source that we made you add in the previous step. If you took our suggestion then that name should come in the form of Kodil Source. Then click on the option Kodil.zip. Now is the time to wait for a bit. Probably a couple of seconds. 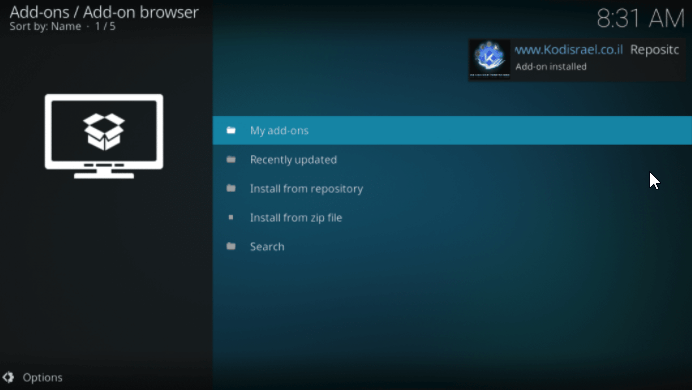 Now you have successfully installed the new repository and Kodi will confirm that action for you in the form of a notification message which will appear in the top right corner of your Kod device’s screen. Just follow the images below to achieve the same result as the step-by-step guide above. Now you have to access Kodisrael repository. That is something you can easily do via the Kodi add-on browser. So first, click on the option that says Install from Repository. When you are finished with that, then we need you to click on the option that says Kodil Repository. This might sound strange to you but some Kodi users find it hard to find the stuff that they are looking for while they are navigating the new Kodil Repository. That’s why we thought it would be a good idea to make a guide on that as well for the benefit of our readers. 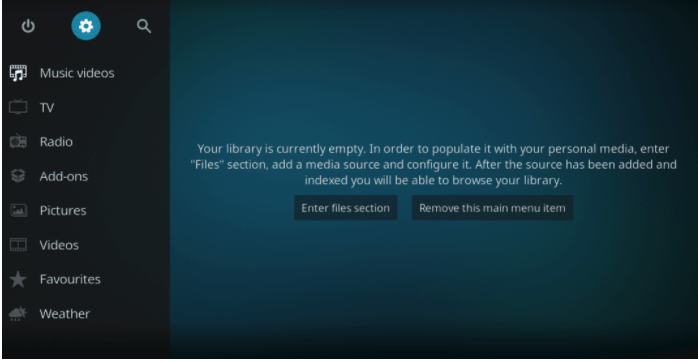 So let’s take a look at some tips that will ease your experience of navigating the Kodisrael repository once you have installed it on your Kodi device. 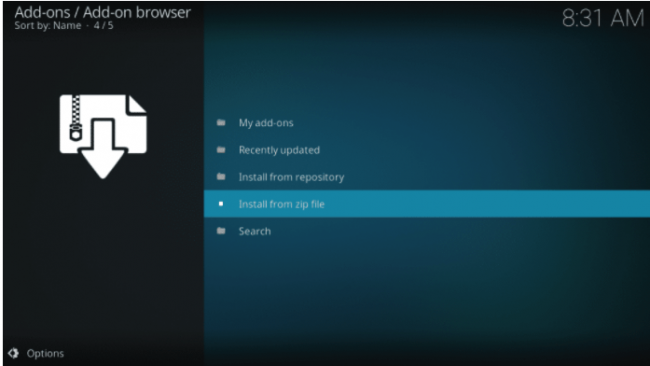 Keep in mind that these tips will apply to any Kodi repository and not just Kodil repository. Because most repositories come with the same user interface and options when you install them within Kodi. Basically, all that the user has to do is simply click on the various different elements that appear on the screen in order to open them. And when the user desires to go back then the user simply has to click the back button. As mentioned before, installing Kodi add-ons on your Kodi device becomes very easy when you have installed a great addon repository such as Kodil. Different sections will allow you access to different types of add-ons. And you’ll have to select the ones that you feel will give you the best chance of finding the content that you are searching for. Once you have found the add-on that you want to install, all you have to do is click the install button. Kodi will itself complete the rest of the installation process. It will take care of the add-on and all of the add-ons dependencies. Once it does, it will show you another Kodi success notification message. 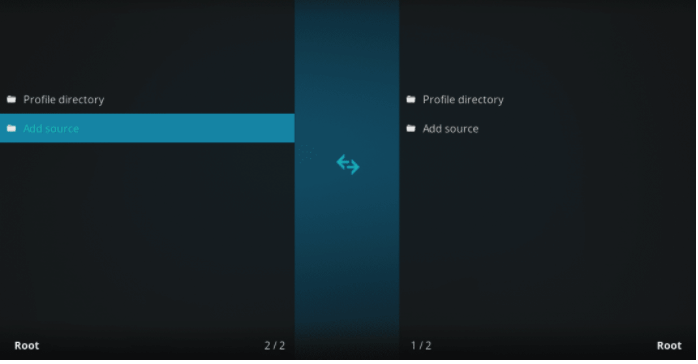 This section will assume that you not only have installed Kodi on your device but you have also installed Kodil on your Kod device. So now that we don’t have to worry about installing anything, let’s take a look at how you can find out what’s available within the repository. When the user first enters the Kodil repository, the Kodil repository will show the user with a list. This list would have items related to different sections of the repository. Now, since Kodil is a big repository it has a lot of sections. Each section contains a different list of Kodi add-ons that are of different types. 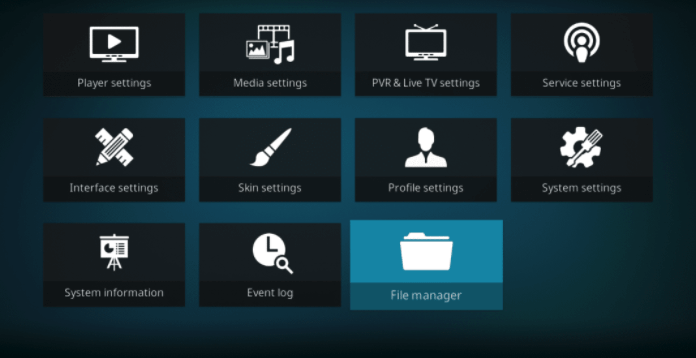 If you represent the regular Kodi user then most of these options are pretty meaningless to you. So you would do well to ignore some of them from the start. However, since we have to take care of all types of Kodi users we’ll go ahead and pay some more attention to some of the most interesting stuff that you are likely to find in different sections. So first, let’s come to video add-ons. 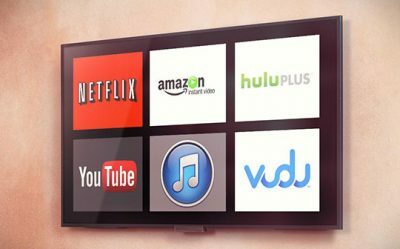 This is the place you want to be at if you want to find the most popular and most interesting of all Kodi add-ons. You have to remember the fact that Kodi isn’t just about streaming high-quality video content. It is the ultimate source of media consumption for all types of online users. Each of these Kodi repositories contains close thousand items in each of its sections. If we are talking about Kodil specifically then this repository has close to 802 sources. Let’s take a deeper look at some of these add-ons in the following sections. This is the section that users should access if they want to install add-ons which will automatically fetch subtitles from various online resources. Moreover, these subtitle add-ons will also display those subtitles to the user’s screen. They will do that while the user is watching content. Some of these add-ons are particularly useful because they allow users to watch videos even in languages that they do not understand. With Kodi subtitle add-ons you’ll face no problems in watching foreign content on Kodi. Kodil Repository does come with a separate section for these type of add-ons so you don’t really have anything to worry about. Kodil also has an audio add-on section. This section consists of more than 100 different sources of all types of audio content for you to use with your Kodi setup. Additionally, there are other some more specific Kodi add-ons as well. There are Kodi front-end add-ons which provide accessibility to the most popular internet audio services. These add-ons also provide access to sites which offer Tune-in Radio stations. We’re talking about services such as Spotify as well as Soundcloud. These are the add-ons which will allow any user to listen to any type of audio file from these popular sites but from within Kodi. The add-on repository section is for users who want to access more repositories to install. At the moment, this section of Kodil contains about 500 other repositories. Some of these are bound to have useless content. But among this same group of 500 repositories, you can also find other repos such as the very popular Smash repository. Along with that, you can also find other useful repositories such as Noobs and nerds along with SuperRepo. These are some of the best repositories out there in the market. Two of these actually consistently rank in the top five of any top Kodi add-on repository lists. For more details, you will have to read the sections that come down further below. Before that though, we’ll explore the Kodil repository a bit more. Kodisrael and some of the most interesting content you are likely to find. 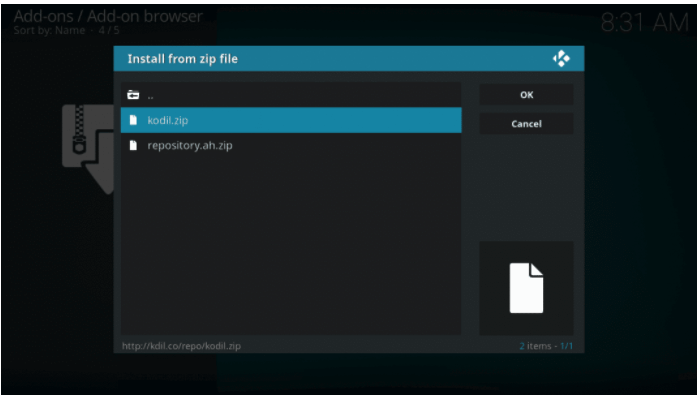 We have already given a quick overview of Kodil repository and what it can do and what Kodi users can find within it. Now we would like to pay a bit more attention to some, and not all, of its popular media content. Kodisrael has a big enough repository to offer some of the best video add-ons available for Kodi. Among those good Kodi add-ons, some are very old. But all of them work most of the time. Kodil currently has a working version of an older Exodus Kodi add-on. Many Kodi users have missed Exodus since its developer suddenly left the Kodi scene. So officially Exodus is no more. But with Kodil you have something better. These are just the name of course. Now we will discuss more about some of these add-ons. Most new Kodi users would not know this but Exodus once reigned supreme as the king of all Kodi add-ons. And it had a lot of content. Most of all, that content came for free. But just recently, copyright trolls or someone of their ilk took down Exodus’ home. Exodus’ home is, or rather was, TVAddons. The TVAddons repository met its death a couple of months ago. As mentioned before, Exodus had a solid grip on the number one spot as far as its popularity was concerned. But that wasn’t just because it offered some of the best content that you are likely to find. It was great because it gave users a great user interface along with that great content. Users found the Exodus addon very easy to navigate. And perhaps we should have all seen it coming. Exodus came with an intuitive menu structure along with good categories of its content. All of this attracted many Kodi users to this specific add-on. Exodus had another advantage over other Kodi add-ons. And that advantage came in the form of multiple sources. Exodus made use of multiple sources to stream each piece of its content. Other Kodi add-ons only looked for and then fetched content from a few sources. Exodus sucked content from more than a dozen sources. This made Exodus’ streams very reliable. As we have indicated earlier, Exodus is dead now. Its developers have left the Kodi scene. And the add-on is no more. But with Kodisrael you can download the last version of Exodus with no problems. Currently, you won’t find success in finding a new add-on that can raise its level of performance and sophistication to that of Exodus. So the best way to keep on using Exodus is via the Kodisrael add-on. Now, because the developers behind Exodus have left the station, the add-on has not received any new updates. Because of that status, Exodus now has plenty of broken streams. That’s what happens when a developer suddenly vanishes and abandons a successful Kodi add-on. In the meantime though, we will list out some alternatives to Exodus Kodi add-on in another post. The Pro Sport add-on is a rare add-on. It is a rare Kodi add-on in the sense that it went totally unscathed by the copyright troubles which affected many other add-ons on the Kodi scene. As far as sports go, Pro Sports is the best Kodi addon that there is. Additionally, the user can also help themselves by finding live games if they are lucky enough and work hard enough. But even if you don’t catch all the action live, there is no reason to despair. The Kodi Pro Sport addon usually provides streams for official game replays only minutes after actual live games end. Pro Sports also happens to have an archive section. As the name suggests, this section caters to users who want to watch sports games that happened in the past. SALTS stands for Stream All The Sources. That’s a pretty weird name for a Kodi add-on. But there is nothing weird about this Kodi add-ons performance as it is top notch. This add-on’s name basically tells you everything you need to know about this Kodi addon. Because Stream All The Sources has the ability to scrape multiple content sources. Then it offers all those sources to Kodi users. And since it gathers so many sources, it is bound to get the best stream for any content from time to time. The point is, Kodi users who want to watch movies and TV series, must give Kodi add-on some thoughts because this is the one that will offer you the most consistent of streaming experiences. Search All The Sources has another great feature. That great feature is its search engine. Users don’t have to waste time and effort in navigating through those irritating levels and sublevels of menus and submenus. With Stream All The Sources, you get to stay away from that. All you have to do is to use the search engine and enter your text. After that, leave everything to Search All The Streams and you should be good to go. 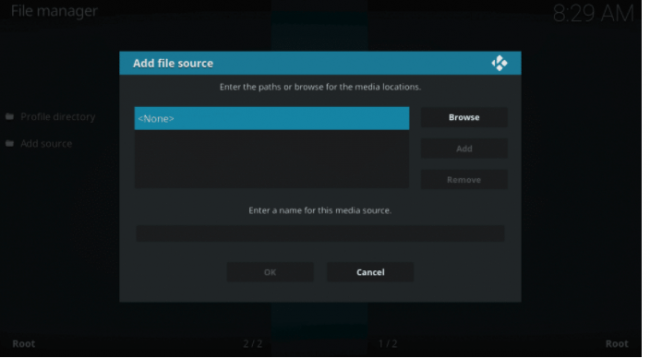 Just like all the other Kodi add-ons on this list, cCloud TV is also a popular Kodi add-on. It is basically for users who are really into IPTV content. Needless to say, cCloud TV’s specialty is IPTV channels. It offers access to tens and hundreds of TV channels from regions such as the United Kingdom and the United States of America. Now, cCloud TV has a lot of channels. Time does not permit us to list them all here. But rest assured that you are likely to find several reliable and popular broadcast TV channels and/or cable from both regions. Searching through hundreds of different TV channels to find the stuff that you are looking for is very really any fun. Kodi add-ons such as cCloud TV realize that. And that’s why cCLoud TV also has a search engine feature. Unlike some of the other Kodi add-ons on this list, cCloud TV also has sources that point to a huge number of radio stations. And yes, its list does include many of the most known international radio stations. The other great thing about cCloud TV is that it also integrates readily with iVue TV Guide along with Renegades TV Guide. With this in place, cCloud TV is able to give the user complete previews of the content that will air on each of its offered channels. This Kodi add-on is for all the cartoon fans out there. Cartoons8, as the name suggests is an add-on for cartoons. This Kodi add-on grants the ability to users to find and then watch all popular cartoons and of course, anime shows. While most anime content is junk, there are always those that touch sensitive issues without explicit themes. In any case, Cartoons8 exclusively concentrates on these two genres. And it comes with a well-organized menu system. This system and its comfortable structure allow users to find whatever they are looking for quickly and with a minimum of fuss. The Cartoons8 addon comes with subscriptions for standard cartoons as well as anime TV shows. This add-on (The Made in Canada IPTV add-on) contains all the major United Kingdom and United States of America channels. Additionally, it also broadcasts Canadian channels. Just go to its main menu and find the section which relates to the Canadian English TV channel channels. All of the sections have smooth organization and this allows them to be self-explanatory. Each of these sections furnish users with access to more than a dozen stations in several number of different languages. Under the section of Sports Central, users can avail access to all the minor and major league sports machines. These along with CBC sports channels and live sports channels form the bulk of the content that is available with Made in Canada IPTV Kodi addon. We also have the Hockey section which provides users with exclusive access to live games along with replays from some of the best hockey leagues in the whole of the North American continent. Similarly, users can also go to the NLL Lacrosse section in order to consume live Lacrosse matches. There is also a section for replays. So it doesn’t really matter if you can catch a particular game live or not. Made in Canada IPTV has got you covered. But what about more UK and US channel lists? Well, needless to say, Made in Canada IPTV also offer those in a separate section. You don’t really have to worry about UK TV and US TV stations with Made in Canada IPTV. Users who are looking for a complete solution to their IPTV content needs should give this Kodi add-on a try. There is lots of information on the internet about more Kodi add-ons that do other things as well. All of these Kodi add-ons have some special content to offer. But most of all, these Kodi add-ons are available for installation via Kodisrael. All you have to do is to look for them. Kodisrael Repository allows users to install many other popular repositories directly from within the repository itself. What benefit does that bring to the table? Well, you will save a lot of time by noting having to create the repository’s source every time you want to install it from a zip file. 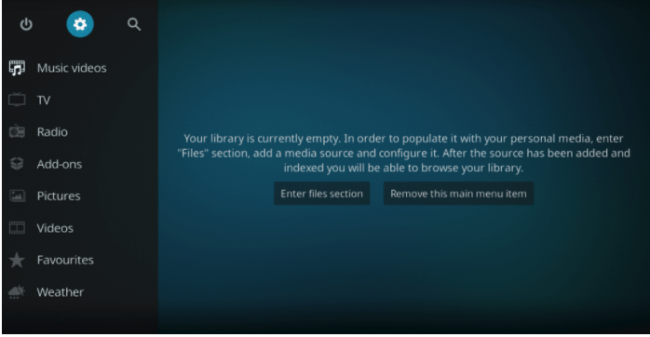 The majority of the Kodi users in the community prefer this repository for many reasons. One of those reasons is the fact that this repository is huge. It is probably the biggest Kodi repository there is. It has so much content that its developers had no other choice but to split the repository into several different parts. And because of that if you want to install this repository you first have to install this Kodi repository’s base version. You can do that by selecting SuperRepo from Kodisrael repository’s add-on section. After you select it, you’ll have to click on the button that says Install. When that is done, then you are free to browse the repository as much as you like. But before that, the repository will present to you a list. This list would contain all the 4 sub-repositories. Kodi will arrange these for you by categorization. If you choose so, you can categorize these add-ons in other ways as well. Other ways such as content language as well as content genre. After selecting your desired add-on you can just click Install and only get those sub-repos which interest you. Let’s take an example to make things a bit more clearer. If a Kodi user is only interested in SuperRepo’s video add-ons then that Kodi user only has to install the Kodi SuperRepo Category Video. It’s pretty easy once you get the hang of it. If we compare this repository to something like SuperRepo, then it doesn’t look that impressive. The reason for that is its size. Noobs and Nerds is small. Both in terms of the number of Kodi add-ons and variety of content. SuperRepo and Kodisrael offer much more in terms of the number of Kodi add-ons. Nevertheless, Noobs and Nerds repository is an important one. Because even though the number of total Kodi add-ons is low, this repository contains some very rare Kodi add-ons. These are also the ones that are most interesting. Let’s take an example again. One Kodi add-0n that we find very interesting is known by the name of Bob Unrestricted. This add-on is available via the Noobs and Nerds repository. Bob Unrestricted is a new Kodi add-on. Or rather a video add-on. But we have little doubt that Bob Unrestricted will one day rise enough to replace other video add-ons such as Specto and Exodus. Smash, as the name indicates, is a smashing Kodi repository. And Kodi users who have already installed Kodisrael should count themselves lucky (again) because they can install it directly from Kodisrael. Smash, in its size, is small. But again, the quantity of add-ons does not make much of a difference in this case. Because Smash repository offers some very interesting Kodi add-ons. And among its small list of add-ons, the most outstanding ones are Alluc ad 1Channel. 1Channel is essentially a video add-on. It shines among all other Kodi add-ons because of its advanced search capabilities. This is where we think more Kodi add-ons should try and copy 1Channel. Right now, too many good Kodi add-ons leave out search functions. And when they neglect it, it makes it difficult for users to find what they are looking for. As far as good Kodi video add-ons go, 1Channel is right up there with some of the best of them. It will also help fill the gap left by many of the now-defunct Kodi add-ons. Reading the whole of this guide, you must have come to the conclusion that Kodi offers users a lot of content. And the best way to access that content is via Kodisrael repository. It is one of the few repositories that we think all Kodi users should install on their system. Kodisrael repository will not only give you great deals on some of the best content available on the internet but it will also make it easy for you to install other add-ons and repositories. In short, Kodisrael repository is the one that you want if you want to make your online streaming experience a breeze.